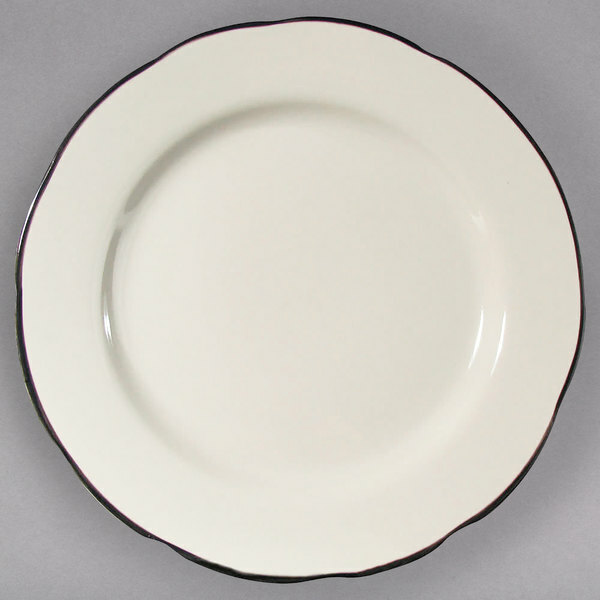 Serve your most celebrated entrees on this 10 3/4" scalloped edge ivory china plate with black band. The band traces the sculpted scalloped rim for an eye-catching design. This 10 3/4" scalloped edge china plate is ideal for use in your restaurant, hotel, or catered event.